Sawgrass Plantation is a wonderful family neighborhood in Sunrise, Florida located near the Sawgrass Mills Mall, restaurants, great schools and parks in the City of Sunrise. Easy access to the Sawgrass Expressway, I-595, and I-75. Sawgrass Plantation includes mid-size homes, estate homes, townhomes and has 2 rental communities. Sawgrass Mills has lovely well-established neighborhoods where kids can walk to their elementary school and play in the newly renovated park. The Sawgrass Mills area continues to be a hot spot of interest for growing families looking for a great place to live and work. See something that you love? Call (954) 999-5207 and set up a showing! Click on the Google Map below to see homes for sale in the Sawgrass Mills area and get directions from 5 County Real Estates’ office in Sunrise, Florida. Sunrise’s tax base includes Sawgrass Mills, Sawgrass International Corporate Park, IKEA and other commercial developments. Quality job creation through corporate attraction has long been a priority in the City. Sunrise’s roster of corporate citizens includes: AT&T – Regional HQ; United Healthcare; Mednax – General Dynamics; Broadspire – HQ; Publix; Interim Services; FoxConn; Andrx; BHA Engineering – HQ; HG Holdings – HQ; MDR Fitness – HQ; S&B Industry – HQ; Grant Thornton – Regional HQ; Cigna Healthcare; Norwegian Cruise Line (NCL); Marsh Insurance – Regional HQ; CoreLogic; New York Life; South America HQ; Chubb Insurance – Latin America HQ; Wendy’s – Latin America HQ; IKEA; American Express Headquarters. Sunrise, Florida is home to 11 public schools – eight elementary schools, two middle schools and one high school – operated by Broward County Public Schools. Higher education is offered by nearby public and private institutions, including Broward College, Barry University, and Nova Southeastern University. 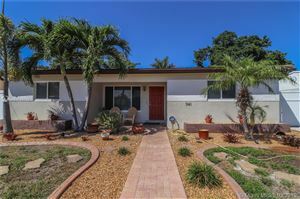 The median home value in Sunrise, FL is $210,000 This is lower than the county median home value of $216,000. The national median home value is $185,800. Approximately 59.04% of Sunrise homes are owned, compared to 25.74% rented, while 15.23% are vacant. Sunrise real estate listings include condos, townhomes, and single family homes for sale. Commercial properties are also available. If you see a property Sunrise real estate agent to arrange a tour today! 5 County Real Estate is proud to serve the following areas: Sunrise, Plantation, Davie, Tamarac, Coral Springs, Davie, Weston and Hollywood including the ever-popular Downtown Fort Lauderdale. (954) 999-5207 immediately to go see it today!